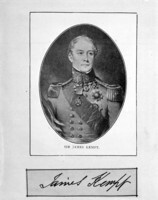 LANCASTER, JOSEPH, educator; b. 25 Nov. 1778 in Southwark (London), son of Richard Lancaster, a sieve maker, and Sarah Foulkes; m. first 5 June 1804 Elizabeth Bonner, and they had one daughter; m. secondly 1825 Mary Robinson; d. 23 Oct. 1838 in New York. Joseph Lancaster obtained a relatively modest education. He learned to read at two dame-schools and to enjoy military discipline at a school run by a former army officer. Following a religious experience, he ran away from home at age 14 “to teach . . . poor blacks the word of God” but, out of funds, he had to enlist in the navy at Bristol and only secured his discharge through the intervention of friends. In 1798, after having twice served as a teacher’s assistant, he brought a few poor neighbouring children into his father’s home to teach them to read. In 1801 he moved to a larger room on the Borough Road in Southwark over which was inscribed: “All who will may send their children and have them educated freely, and those who do not wish to have education for nothing may pay for it if they please.” Unable to pay assistants, Lancaster designated the older scholars as monitors to teach the younger pupils in small classes. These monitors were in turn supervised by a head monitor. The use of monitors was not new, but Lancaster developed an elaborate system of mutual instruction involving them in the maintenance of discipline by punishment (cages and pillories) and reward (rank badges, orders of merit, and prizes), as is described in his Improvements in education, as it respects the industrious classes of the community (London, 1803). He offered a limited fare of reading, writing, and arithmetic, but was opposed to the inclusion of more subjects only because of the expense. In fact he encouraged the most promising scholars by selecting and training them to become future teachers who would propagate his system. 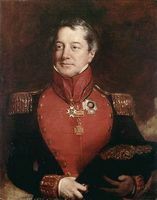 Lancaster’s teaching and promotion of his system won the attention of the dukes of Bedford and Sussex and Lord Somerville, as well as the patronage of George III. But in 1808 his financial improvidence led his friends Joseph Fox, a Baptist, and William Allen, a Quaker, to establish the Royal Lancasterian Society in order to administer donations and maintain the model school. Labelled the “Goliath of Schismatics” in 1805 by one of his opponents, Mrs Sarah Trimmer, Lancaster, himself a Quaker, incurred the wrath of the established church because of his belief that public schools should not be controlled by, or serve, any denomination. To represent the interests of the Anglican Tories and to rival the Royal Lancasterian Society, which was supported by nonconformists and liberal reformers, the National Society for Promoting the Education of the Poor in the Principles of the Established Church was established in 1811, based on Andrew Bell’s monitorial system. 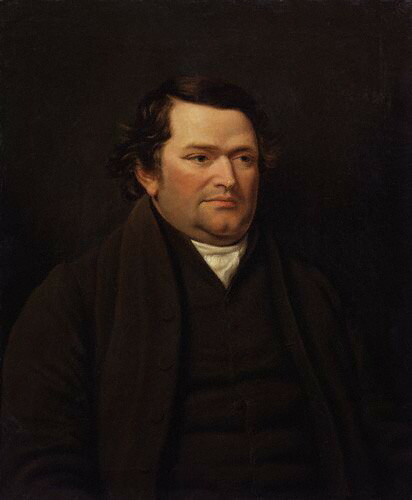 Echoes of the controversy had been heard in the Canadas in the opinions of schoolteacher and Anglican minister John Strachan*, who in 1809 credited Bell with the “discovery” of monitorial schools and dismissed Lancaster’s plan. As outlined in his Report of J. Lancaster’s progress from the year 1798, published in 1811, Lancaster’s extensive travels and lectures throughout the British Isles had served to implement on a large scale his inexpensive, practical method of instruction for the poor. Visits to the Borough Road school by supporters showed that it had attracted attention from as far away as the United States and Venezuela. 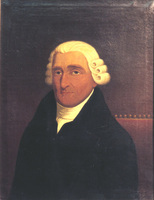 But because of Lancaster’s lack of business sense, arrogance, and quarrels with his friends, the committee of managers of the Royal Lancasterian Society began to exert more control over the finances and administration of the society and in 1814 Lancaster was demoted from his position as promoter of the society to the salaried post of superintendent. Even the name of the society was changed, to the British and Foreign School Society. Later that year, after a scandal allegedly involving the flogging of monitors for amusement, he resigned. He was disowned by the Society of Friends for financial irresponsibility. In addition, the failure of his private school in Tooting (London) left him bankrupt. These vagaries are recorded in his Oppression and persecution; or a narrative of a variety of singular facts that have occurred in the rise, progress and promulgation of the Royal Lancasterian system of education, published in Bristol in 1816. Although Lancaster was experiencing professional difficulties in England, his non-denominational monitorial system was being well received in the United States and in British North America. The London committee of the British and Foreign School Society was promoting his system in the Canadas. 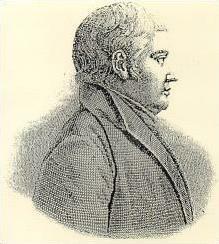 The Reverend Thaddeus Osgood* established a school at Quebec in 1814, and another in Kingston three years later. It may have been his use of the monitorial system at Quebec that led the House of Assembly’s committee on education to comment favourably in a report of 1815 on the cheapness and efficiency of Lancaster’s method of teaching; an extract from Improvements was annexed to the report and a bilingual edition of the book was published in Montreal that year. The next year a motion for a grant to set up other schools based on his plan was lost by only four votes. Opposition by Anglican and Catholic clergy to Osgood’s school at Quebec eventually led to its closure. It was quickly replaced by other monitorial schools: those of the British and Canadian School Society, modelled on the British and Foreign School Society, those established by Joseph-François Perrault, and the National schools at Quebec and Montreal. Their attendance of 300–400 students per school eventually attracted grants from the assembly, £200 in 1823, £1,650 in 1825, and more in subsequent years. 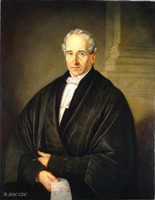 Other schools were encouraged to introduce the monitorial method by a grant of £100; for example the school at Trois-Rivières received one “provided that the system of mutual instruction be adopted therein, and that Children having a Certificate of poverty from the Trustees, be therein admitted gratis.” During 1813–14 Walter Bromley had established in Halifax the Royal Acadian School, based on the principles of the British and Foreign School Society. In the same decade auxiliaries of the British and Foreign Bible Society, which supplied cheap editions of the Scriptures for students to learn to read in monitorial day- and Sunday schools, proliferated in the colonies: Nova Scotia (1810), Lower Canada (1812), Upper Canada (1816), Prince Edward Island (1817), New Brunswick (1819), and the Red River colony (1820). Initially Lancaster had planned to remain in or near Montreal. He had set up a printing-press and in October 1830 launched the Gazette of Education and Friend of Man. In the only issue published there was more self-promotion than there were essays on education. Lancaster petitioned William IV in 1831 for a grant of 100 acres in nearby La Prairie “for the purpose of founding a seminary there and making a home where I may live and die,” but his request was refused. The following year he delivered a tirade against the governor-in-chief, Lord Aylmer [Whitworth-Aylmer], because the Board of Health had seized, for cholera patients, a shed which Lancaster had helped erect for the reception of poor Irish immigrants. That year, in a close by-election opposing Stanley Bagg and Daniel Tracey*, he voted for Bagg, the father of one of his pupils, despite the dissuasions of his supporters in the assembly, De Witt and Papineau. When his grant was not renewed, he was unable to continue with only his pupils’ fees. Although he planned to reopen his institution after soliciting funds, he soon returned to the United States. Through the support of a few gentlemen in England he received an annuity. During his final months, he rekindled an interest in training monitors in England, but died in New York having been trampled by a runaway horse. Most of Joseph Lancaster’s published works are listed in the National union catalog. L.C., House of Assembly, Journals, 22 March 1815; 16 Feb. 1816; 17 March 1830; 1831–32, app.II, 1st report. Canadian Courant and Montreal Advertiser, 16 Dec. 1829. Quebec Gazette, 30 March 1815. Beaulieu et Hamelin, La presse québécoise, vol.1. DNB. William Corston, A brief sketch of the life of Joseph Lancaster; including the introduction of his system of education (London, ). 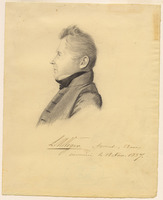 Mora Dickson, Teacher extraordinary, Joseph Lancaster, 1778–1838 (Sussex, Eng., 1986). David Salmon, Joseph Lancaster (London, 1904). G. W Spragge, “Monitorial schools in the Canadas, 1810–1845” (d.paed. thesis, Univ. of Toronto, 1935). Judith Fingard, “‘Grapes in the wilderness’: the Bible Society in British North America in the early nineteenth century,” SH, 5 (1972): 5–31. G. W Spragge, “Joseph Lancaster in Montreal,” CHR, 22 (1941): 35–41. Heather Lysons-Balcon, “LANCASTER, JOSEPH,” in Dictionary of Canadian Biography, vol. 7, University of Toronto/Université Laval, 2003–, accessed April 21, 2019, http://www.biographi.ca/en/bio/lancaster_joseph_7E.html.